David Wolfe's life is approaching an exhilarating peak: he's a successful San Francisco lawyer, he's about to get married, and he's being primed for a run for Congress. But when the phone rings and he hears the voice of Hana Arif--the Palestinian woman with whom he had a secret affair in law school--he begins a completely unexpected journey. The next day, the prime minister of Israel is assassinated by a suicide bomber while visiting San Francisco; soon, Hana herself is accused of being the mastermind behind the murder. Now David faces an agonizing choice: Will he, a Jew, represent Hana--who may well be guilty--or will he turn away the one woman he can never forget? The most challenging case of David's career requires that he delve deep into the lives of Hana Arif and her militant Palestinian husband, both of whom have always lived in exile. Ultimately, David's quest takes him to Israel and the West Bank, where, in a series of harrowing encounters, he learns that appearances are not at all what they seem. 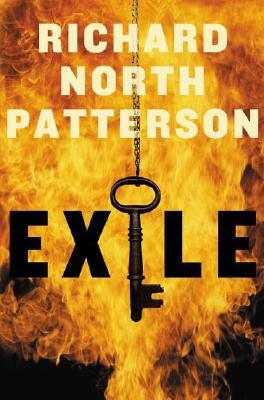 Culminating in a tense and startling trial with international ramifications, "Exile" is that rare novel that both entertains and enlightens. At once an intricate tale of betrayal and deception, a moving love story, and a fascinating journey into the lethal politics of the Middle East, this is Richard North Patterson at his most brilliant and engrossing.